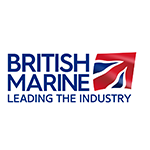 If you rely on a marine diesel engine as the main propulsion unit on a vessel and need to be able to identify faults and carry out engine servicing this course is for you. 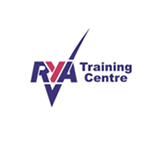 The course covers the same subjects as the RYA one day course but in much greater depth and with more "hands on" experience. 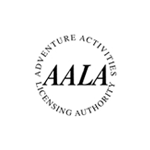 An ideal addition to the skills portfolio for our Commercial Yachtmaster and Commercial Motor Yacht students. This course is also the first level qualification for the MCA Engineering Officer training scheme. Our classroom is equipped with an engine to allow you to dismantle and rebuild the engine in a learning environment. During the course you will visit one of our boats and wherever possible a local external company to cover some of the practical aspects of the course. This is a 30 hour course that runs over 4 days course with an assessment on the last day. Waterside classroom equipped with engine for demonstrations and hands on practice. Local Accommodation – if you need accommodation for the course we can recommend a self-contained studio flat ‘The Sail Loft’ which is available within walking distance from the Marina where our classrooms are based. Please check availability with us. The course covers marine diesel engine operation, the fuel, lubrication, cooling and electrical systems. Engine maintenance, winterisation and fault diagnosis are also covered. The MCA course covers each area in more depth than our one day course and this is reflected in the course duration. The MCA approved engine course complies with the requirements of the MCA Code of Practice for commercial vessels.